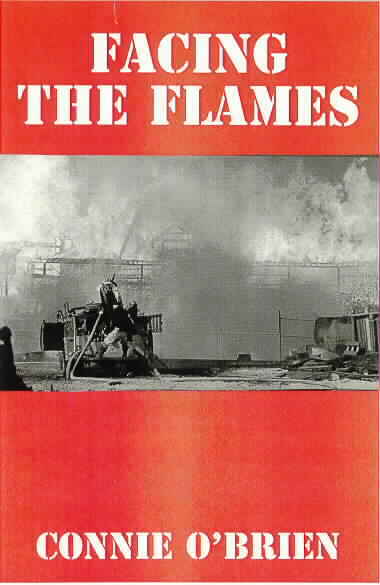 In Facing the Flames Connie O'Brien continues the chronicle of the Cambridge, MA Fire Department that he began three years ago in his widely acclaimed first book Where It Was Hot. Cambridge is still home to new glass and concrete office towers and abandoned warehouses, high-rise condos and streets stuffed with wooden triple deckers. And Connie O'Brien is still writing with his wonderful, relaxed, anecdotal style and self-deprecating humor as he tells tales of tunnel fires, armory fires, bottling plant fires, bridge fires, and near conflagrations in turpentine factories. Stories of his fellow firefighters' selfless acts of bravery and heroism, their unending dedication to an unthinking, often ungrateful public, and the outrageous pranks and practical jokes they regularly pulled on each other to maintain their sanity. Wonderful memories recalled from Connie's forty year career.